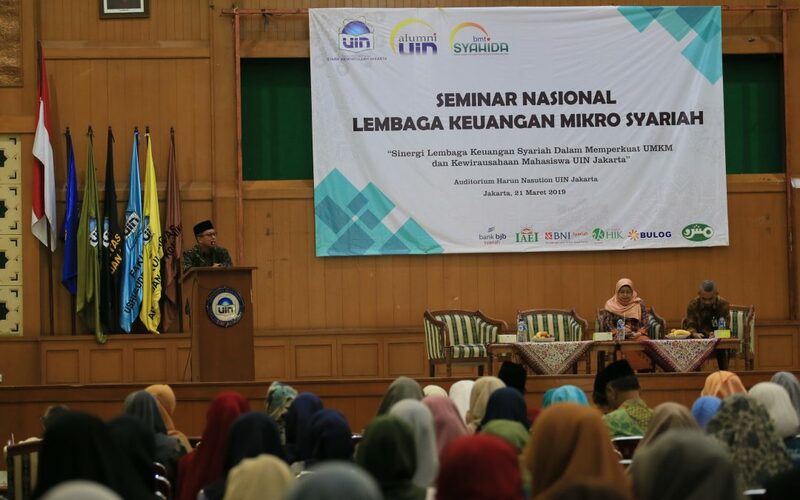 Main Auditorium, UIN News Online – Baitul Maal wa Tamwiil (BMT) Syahida IKALUIN held a national seminar on Islamic Microfinance Institutions for students, lecturers, and employees of UIN Jakarta, Thursday (03/22/2019) at Main Auditorium campus I of UIN Jakarta. The seminar is held in order to socialize the business funding sources and promoting entrepreneurial activities to academic community of UIN Jakarta. This seminar, that is moderated by the Chairperson of BMT IKALUIN Euis Amalia present two resource persons from economic and financial institutions that could become the foundation of business capital financing; the Indonesia Logistics Bureau (Bulog) and BNI Syariah. The Bulog is represented by Head of DKI and Banten regional office Dedi Sabetra, and General Manager of Micro Business Division PT Bank BNI Syariah Budi Aristianto. 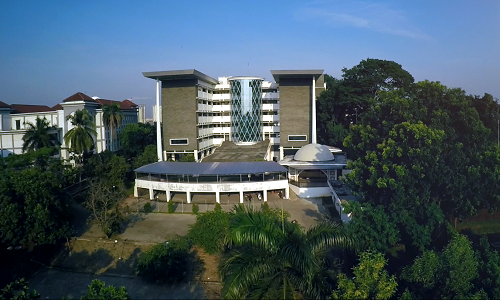 Euis in her remarks revealed that the national seminar aims to socialize the economic opportunities that can be utilized by academic community of UIN Jakarta. “We hope that lecturers, employees, students, and alumni can take advantage of this opportunity,” said Euis. Budi in his presentation said that BNI Syariah has many micro-scale entrepreneurial financing schemes. This scheme continues to be developed its products and services that can be utilized by many people. 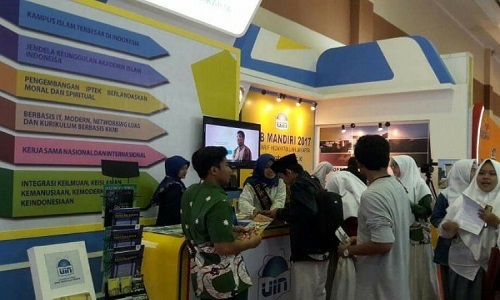 “BNI Syariah is quite concerned in encouraging the micro economy,” he said. Meanwhile, Dedi Sabetra said, in the last two years Bulog opened a micro business development scheme in various regions and religious institutions such as mosque cooperatives and taklim assemblies. Previously, Bulog had more roles in dealing with food distribution and price control.